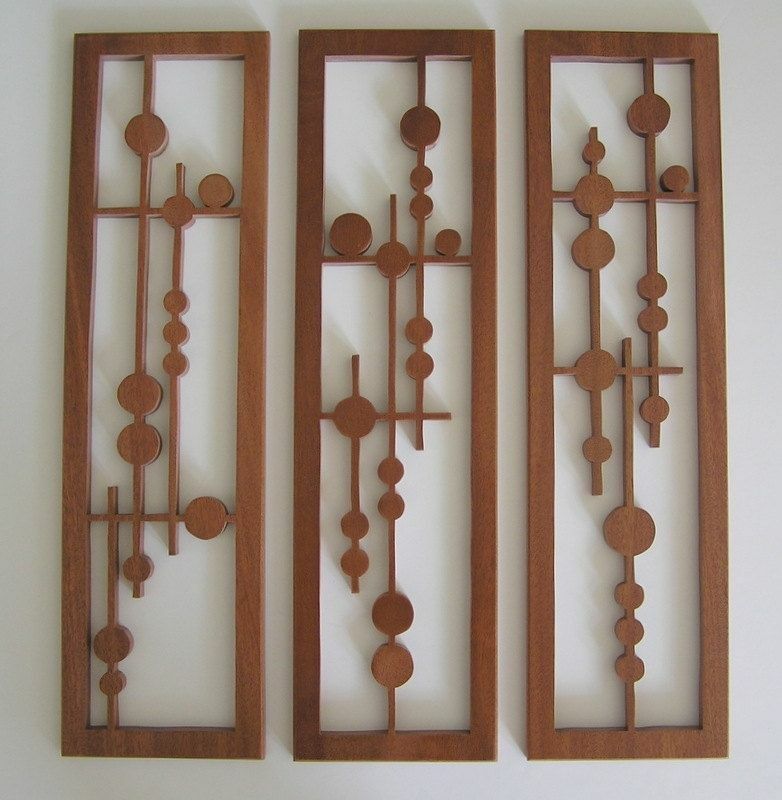 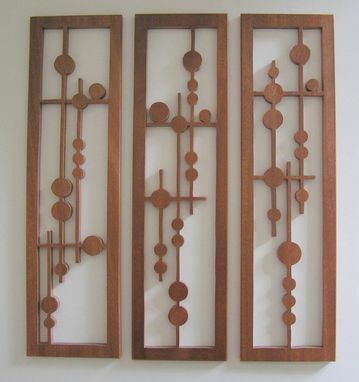 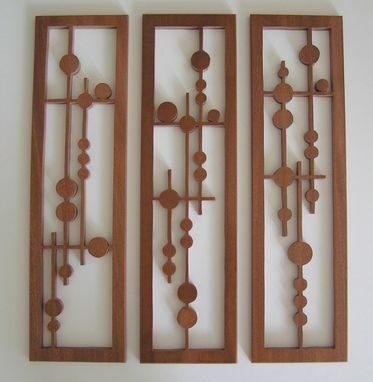 Mahogany Fretwork Grouping "Disks In Alignment"
This mid-century piece is a great addition to your modern-themed home or office. 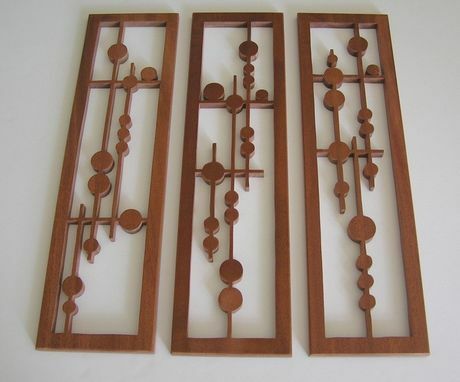 Each piece measures 20''x5.5'' and is 1/2'' thick. 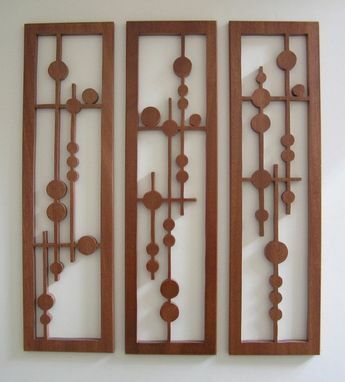 A hanging bracket is attached to the back of each fretwork for easy hanging. 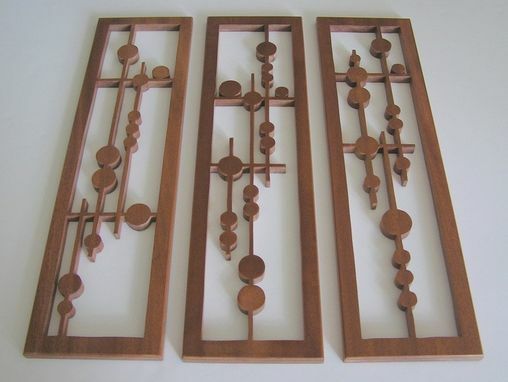 A clear coat was applied to the surface for quality finish and lasting protection from elements.